MARCO ANTONIO RUBIO has some explaining to do. So does Governor RICHARD LYNN SCOTT. Florida state legislators function as a criminal enterprise, taking campaign CA$H at the Governor's Club, which does not admit reporters (like the St. Augustine Airport meeting room where the St. Johns County Republican Executive Committee meets in secret tonight, July 2, 2018). The Palm Beach Post writes that their failure to act fed the nation's appetite for pills, making the nation's heroin crisis that much worse when Florida finally cracked down, in 2011. The Palm Beach Post is out with a devastating series of stories about Florida's role in America's heroin crisis, citing little-seen data and interviews with officials from around the country. And few people look worse in it than Florida legislators – including Marco Rubio – for waiting a decade to crack down on dirty doctors and pill mills. Post investigative reporter Pat Beall writes that their failure to act fed the nation's appetite for pills, making the nation's heroin crisis that much worse when Florida finally cracked down, in 2011. The stories are filled with fascinating nuggets about the history of Florida's opioid crisis and how it was viewed by officials in other states. 1. Marco Rubio killed a critical prescription drug monitoring program over "politics." "And there was one person who was responsible," said former state Sen. Burt, now an Ormond Beach insurance executive. "And it was Marco Rubio." Rubio didn't kill the 2002 bill out of opposition to prescription monitoring. That year, Rubio favored a bill changing the Miami-Dade County charter, which failed to pass because of a single "no" vote in the Senate. Burt cast the vote. Angered by what he saw as Burt's betrayal, Rubio killed the prescription drug monitoring bill. 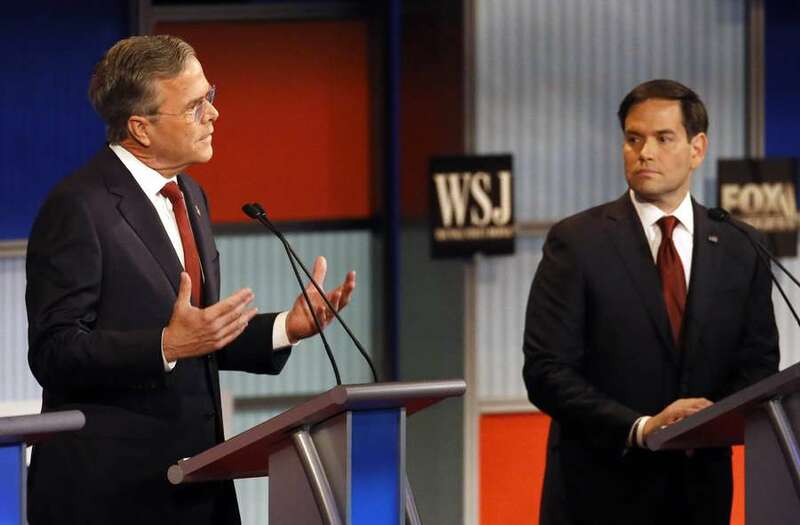 "When I found out he broke his word, it made the choice easy," Rubio told The Miami Herald. It's not clear whether the bill would have passed the Legislature anyway, and Rubio was hardly the only one who stood against it – lawmakers didn't roll out the program until 2011. From 2002 to 2011, 35,000 Floridians would die after taking prescription opioids, the Post writes. 2. Kentucky went berserk when Rick Scott considered stopping the drug monitoring database in 2011. Gov. Rick Scott considered stopping the database's rollout in 2011, and officials in Kentucky nearly lost it. As much as 60 percent of the illicit oxycodone in Kentucky state flowed from Florida, the Post writes, and Kentucky Lt. Gov. Daniel Mongiardo proposed erecting billboards at the Florida line: "Welcome to the Oxy Tourism Capital of the World." U.S. House Appropriations Chairman Hal Rogers, also from Kentucky, twice wrote Scott. "Canceling Florida's prescription drug monitoring program is equal to firing firefighters while your house is ablaze," he wrote. In Greenup, an infuriated Cooper told a reporter, "In my opinion, (Scott's) getting money from somewhere. He has to be." A few days later, recalled Cooper, "A lieutenant with the state police I'd been talking to down there called me, said, 'Man, just a head's up: I wouldn't come to Florida.'" The database was saved by Attorney General Pam Bondi, who convinced Scott to leave it alone. 3. Florida's drug database curbed overprescribing – and led to heroin deaths across the country. Much has been made about the arrests of pill mill doctors, but the Post's reporting suggests that the prescription drug monitoring program was the real reason that prescription opioids became hard to come by. "When we look back at when the line (of heroin admissions) started going up, the prescription monitoring database is the inciting event," Dr. Hansel Tookes, a former ER doctor-turned-professor at the University of Miami, told the Post. Little-noticed DEA reports and federal court records show that by 2010, South Florida was a reliable oxycodone supplier to users and traffickers not only across the Southeast, but also in the New England, Mid-Atlantic and Great Lakes regions, an area encompassing half the United States. And when Florida finally began shutting down its pill mill pipeline, users and addicts there did exactly what users and addicts did in Florida: They turned to heroin. Academic studies, news reports and government agencies all have lauded the success of this state's overdue efforts to shutter its pill mills. None has documented — or even suggested — what The Post found: East of the Mississippi, as Florida-supplied oxycodone began disappearing, deaths tied to that and similar drugs started falling. And simultaneously, deaths linked to heroin started rising. Really, there's lots more to the must-read series. And as a reminder, Florida lawmakers still have not done much to help with the heroin crisis.